Buy Shroud of the Avatar, Less Than $4 US Dollars - KABALYERO - PLAY, BLOG & EARN! Shroud of the Avatar is Richard Garriott's latest game and I freaking love it. Some people don't like it very much because it wasn't the game they pictured in their minds when they backed game a few years ago in Kickstarter. I got the game for only $20 US Dollars back in 2014 and, honestly, I've made back that $20 US Dollars a long time ago by simply playing the game. 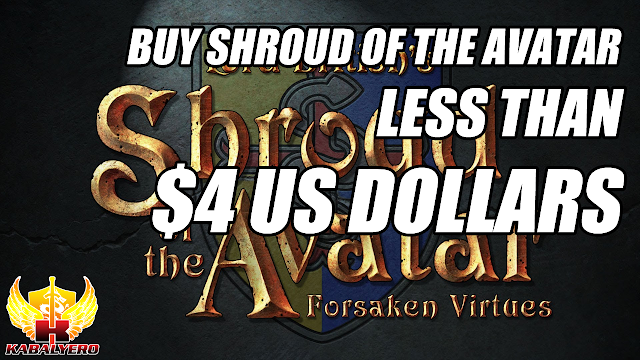 You won't become rich in real life by playing Shroud of the Avatar but, you can at least earn a few dollars from it, and you can use what money you've earned from the game in the Add-On Store. 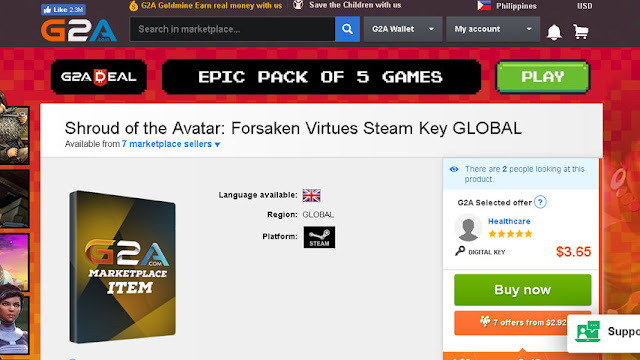 Now, getting Shroud of the Avatar from the official website or in STEAM will cost you $40 US Dollars but you can get the game for less than $4 US Dollars in G2A. 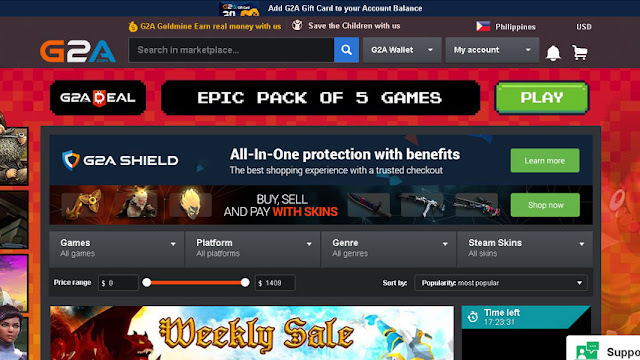 G2A is a global digital gaming marketplace where you can buy and sell legit game CD-Keys for various games and gaming platforms like Steam, Origin, UPlay, Battle.net, XBox, PSN and others. As you can see from the image, buying a Global Steam Key for Shroud of the Avatar will only currently cost you less than $4 US Dollars in G2A. Obviously, this particular offer will save you a few dollars from the regular price. If you've always wanted to play Shroud of the Avatar but don't have enough cash to buy the game then check out this offer in G2A. Honestly, it's a very tempting offer. In fact, I would have bought one because I've always wanted to have an extra account but, sadly for me, my PayPal account is currently out of funds. 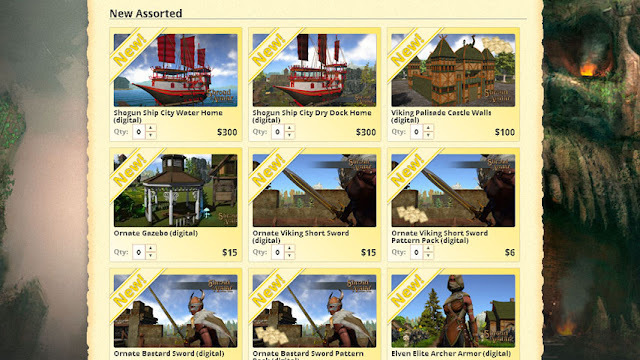 Anyway, if you are interested in getting Shroud of the Avatar in G2A then go to this link (http://bit.ly/buyshroud).